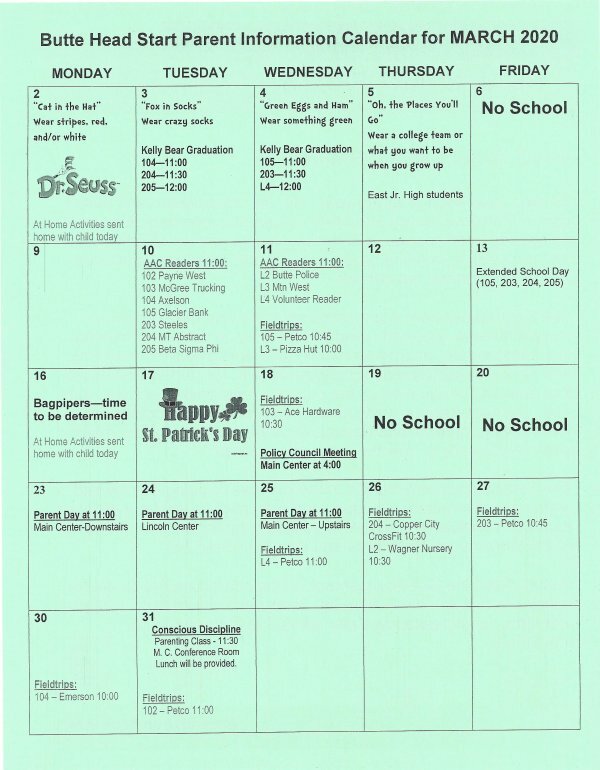 Special event days have been scheduled to give parents the opportunity to spend one-on-one time with their child in the classroom as well as family time. The parents will be treated to a variety of experiences, which will allow for hands on work/play time with the children based on a theme for the event. Childcare for siblings will not be provided. Please make other arrangements for siblings.